It’s been a good week – fingers crossed, my adjusted migraine medication seems to be helping at the moment, so I could just bash on. I’ve been concentrating on making, which is fun; giving myself permission not to do all the admin-y things I should be doing. They’re still on my list, just delayed by a week. Of course, this doesn’t mean huge amounts of progress as the type of work I do is slow. Very slow, but as the last post shows, when I try and do quick work, I don’t like the results, so it is back to slow and, hopefully, metaphorically if not in money terms, much more profitable. I’ve also been getting advice, which is... interesting. When I put the piece at the top up on the wall, one of the kids suggested to improve it to add a row of pre programmed stitched elephants. The second said add more colour (it is meant to be muted). I haven’t dared ask the third. On the other hand, I felt that their choice of colours of threads for this hand stitched piece were more useful and I have gone with them. Asking advice of the kids is probably quite useful, as it will never be what I expect and I am free to ignore it, even if they are a bit hurt that there are no elephants being added to the piece... Who do you get your most useful advice from? Is it the different colourway? Is it that the background isn’t pieced? Is it because it didn’t take weeks of labour as most of my work does – I was trying to see if I could make ‘quicker’ pieces? What do you think? 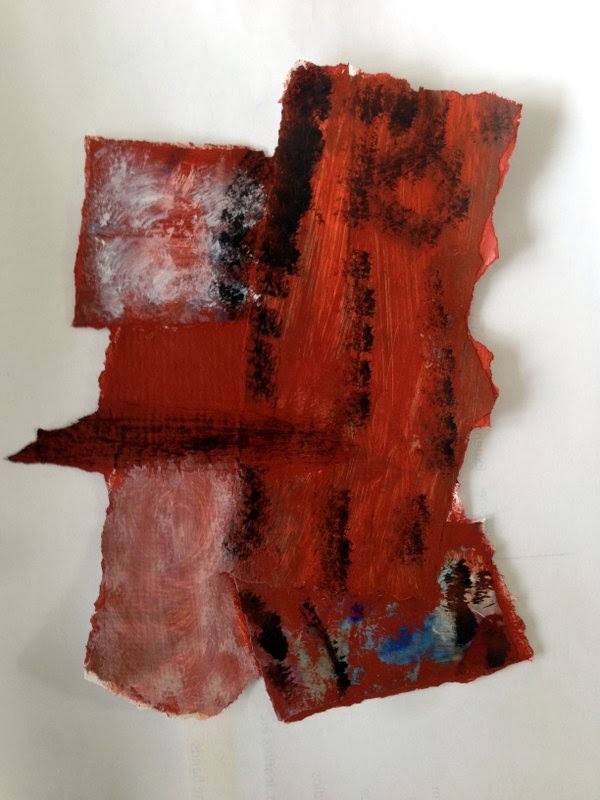 Brutal opinions would be appreciated as I suspect this piece is just going to sink to the bottom on a pile and I’m not sure it will even make it on to my website when it is revamped. Does this happen in your work too? How often do you get to the end of a piece and discover you really don’t like it? One person looking over my shoulder at it said it was ‘cute’; which was a bit of a kiss of death for me! What do you do to recover your work at that point or do you just write it off to experience? It’s a while since I’ve had a Pinterest Friday, so here is one today: leaves. I’ve been working on leaves as a kind of sideline since the summer. I’ve been printing and drawing them, but with no real final end piece in sight – just something nice to play with on the side. 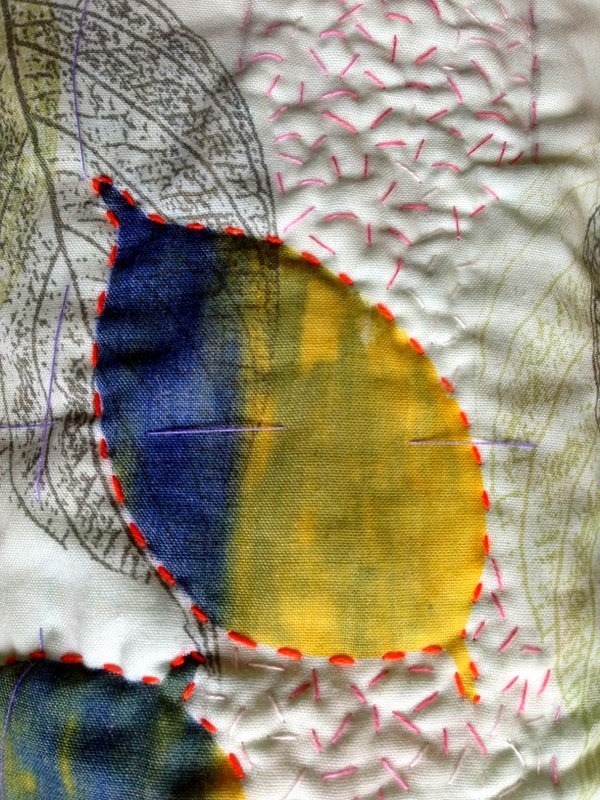 As I started hand stitching a leaf inspired piece yesterday, it seemed appropriate to share some leaf photos with you. The work is still too early to share, but hopefully at some point in the next six months I will have done enough to show you it! These quilts were made to accompany an article I'm writing for Popular Patchwork about group fund raising for charity, by having a race to see who can make their jelly roll quilt the fastest. The winner gets half the entry fees, whilst the rest goes to charity. The quilt top can easily be made in less than a day. I heard about the ‘Jelly Roll Slam’ race when Ruth Higham held one at The Studio,Loch Lomond. It is definitely possible to make this quilt top in a day; even I managed in under four hours and I am not known for speedy piecing. 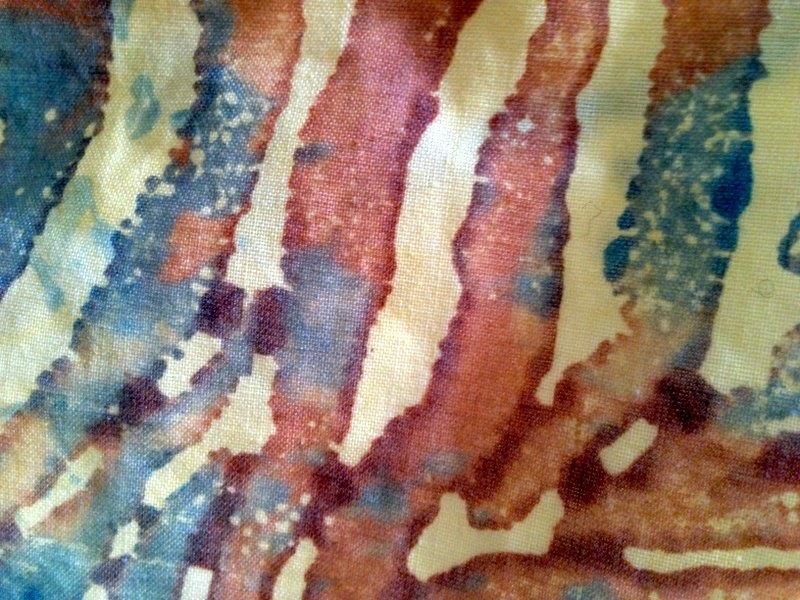 One jelly roll and a fat quarter of fabric. 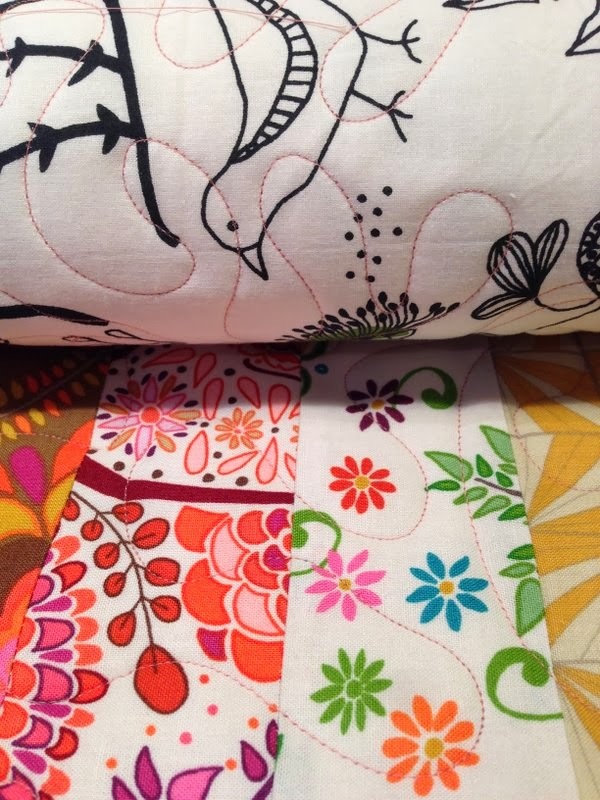 Cut the fat quarter into 21/2in squares. You will need one square for each strip. Stitch a square to the end of each strip. Join all the strips together at the short ends into one hugely long strip. Fold in half right sides together and stitch along the long edge. When you get to the end, cut the fold, fold in half again and repeat. 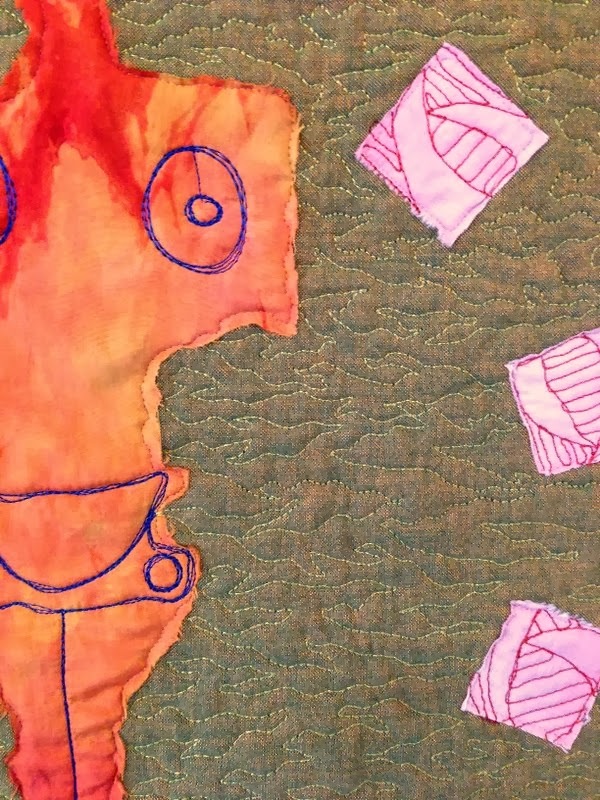 Keep repeating until you have the shape of quilt top you want – that’s it! It really is amazingly simple. If you don’t want all the squares to line up, you can offset how the strips line up when you fold in half for the first time. 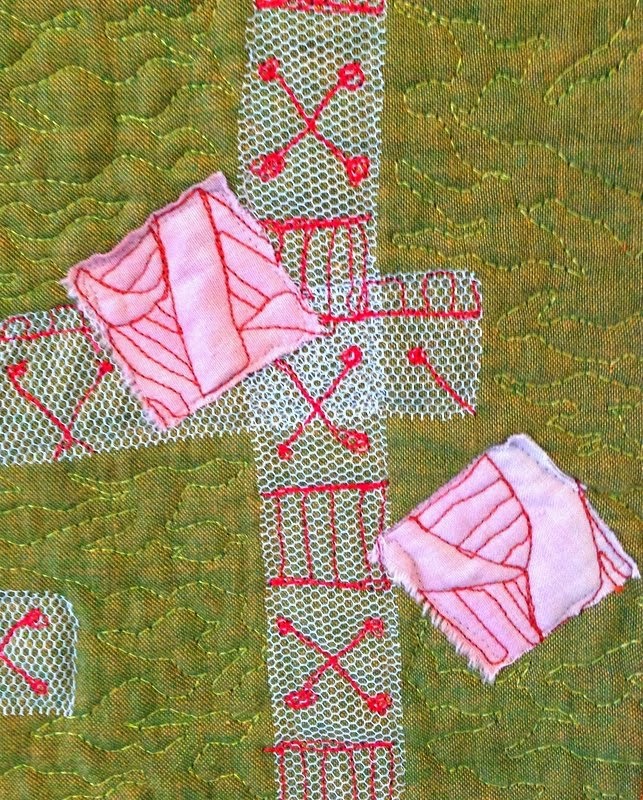 The smaller quilt - I didn't realise that some jelly rolls have 30 strips not 40 - so watch out! 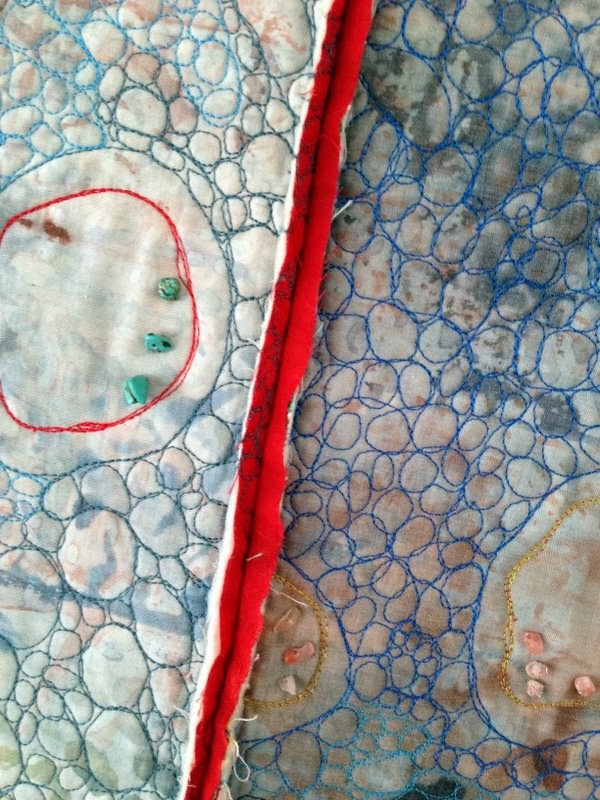 In keeping with the quick piecing, I ‘quick-quilted’ them at Beechwood Quilting on their long-arm machine. They will be great for the kids to play with and to throw over the sofa. 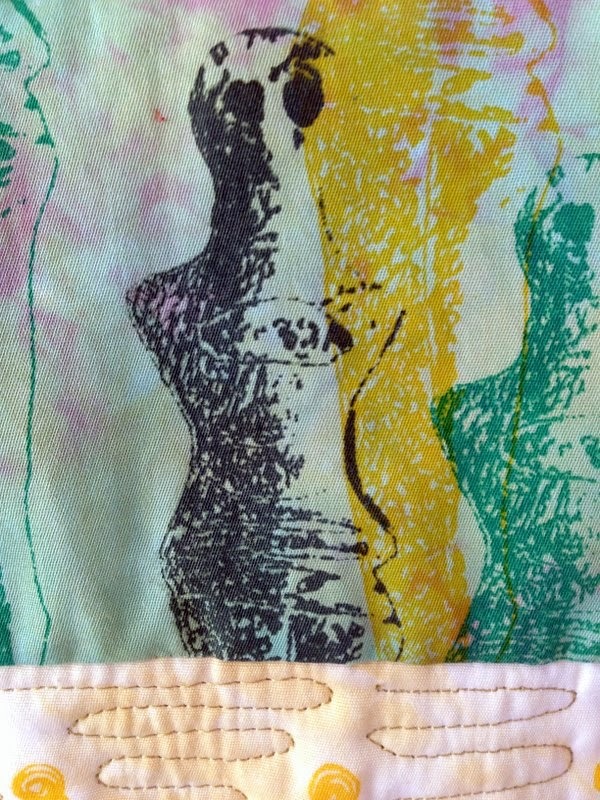 If you are part of a quilting group why not hold your own jelly roll slam? I’m all for finding new (and fun) ways to raise money for charity. Last week was our half term week and at the risk of becoming scarily predictable, we headed down to Northumberland to the cold coast for a family holiday. It was definitely the worst weather week we have had there, but it didn’t seem to matter. The children enjoyed the familiarity of returning to the same known place and we got to relax, visit bookshops (well, actually only one fabulous second-hand bookshop, Barter Books in Alnwick) and go for bracing walks/jogs. The week also gave me the opportunity to try out my new toy – a new digital SLR. It was a belated Christmas present as R didn’t have the courage to buy it on his own, which was probably the right move! Digital SLRs have moved on so much since we bought our original one about eight years ago and it is going to take some getting used to as there are so many touch screen buttons and gizmos that I have absolutely no idea how to use. Of course, it would help if I read the manual, but... it is not going to happen. Walking on the sands at Alnmouth. Yes, the boys are wearing shorts. Still, the week was a great chance to experiment and try different settings. Here are some of the better ones. There are lots more pictures of the sea, but I thought after the post the other week, you would be more interested in these. At the end of the week, we headed up to Edinburgh, where I spent a delightful Saturday with Thistle Quilters. 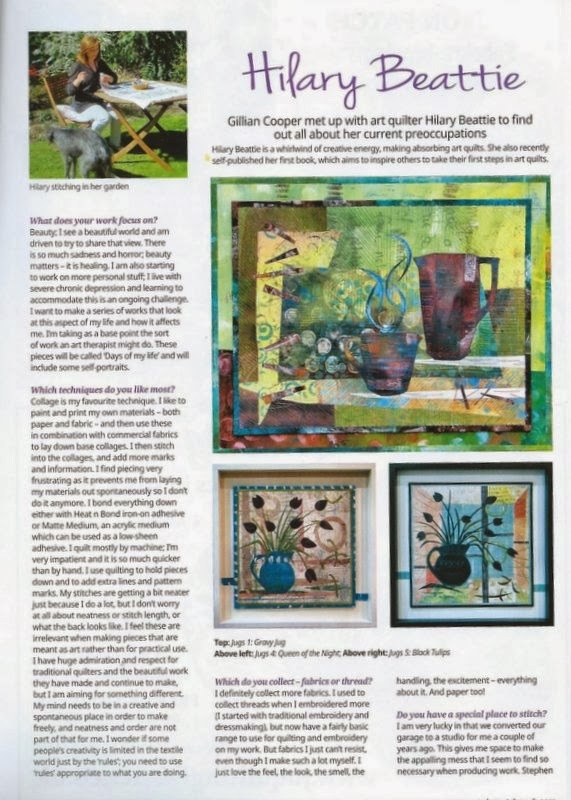 They were a wonderfully friendly group and I had a great time showing them some of my Unsung Muses work, which had travelled down to Northumberland specially with me and then sharing my paper pieced bowl techniques. A few months ago, I blogged about Hilary Beattie's brilliant self-published book 'Make it Personal'. 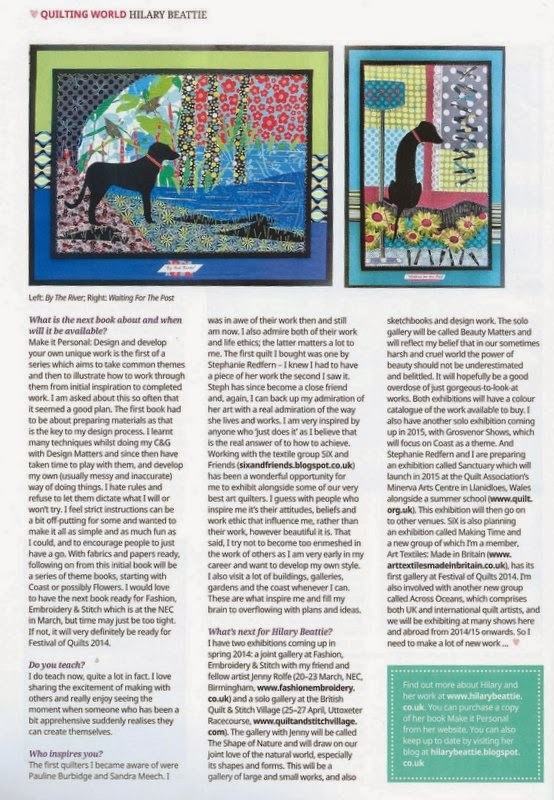 I liked the book and Hilary's whirlwind energy and passion for her textiles so much, I wrote a feature on her for Popular Patchwork, which is in the current edition (out 7 Feb 2014). 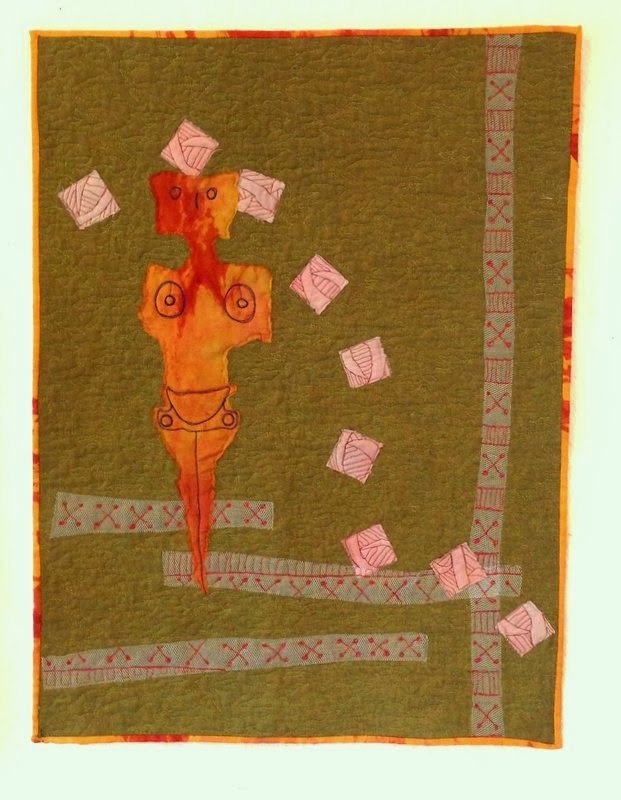 There are lots of lovely images of her work and insight into her quilting life. It was great fun to write - Hilary was full of useful information and I am following some of her recipes from her book in my current printing. Her work and her blog are well worth checking out. For the next project in the C&G course, I set the students the theme of the sea. The sea is such a great topic, that you can hardly fail to be inspired by it. 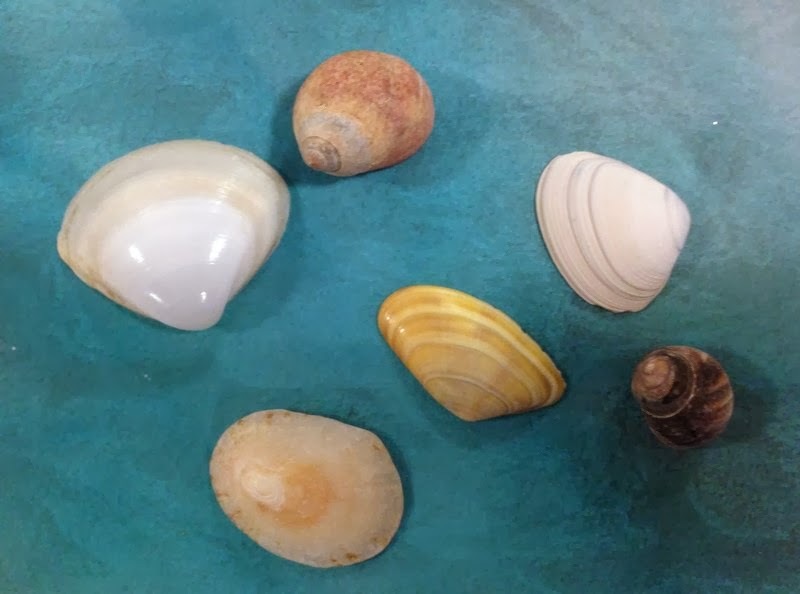 There are waves, patterns on the sand, shells, rock pools, sea creatures, fishes, driftwood, mythical sulkies and mermaids, boats, etc. 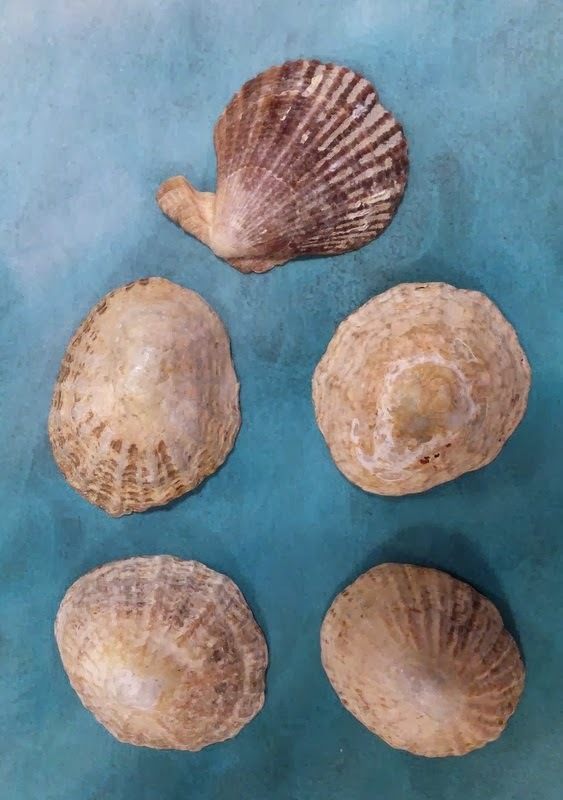 I've asked the students to bring together a collection of sea related things and I can't wait to see what they bring. This is some of what I've pulled together to show them. This is the trouble with teaching C&G - it distracts me from my own work as now I want to go and make sea related art, rather than what I'm working on at the moment! 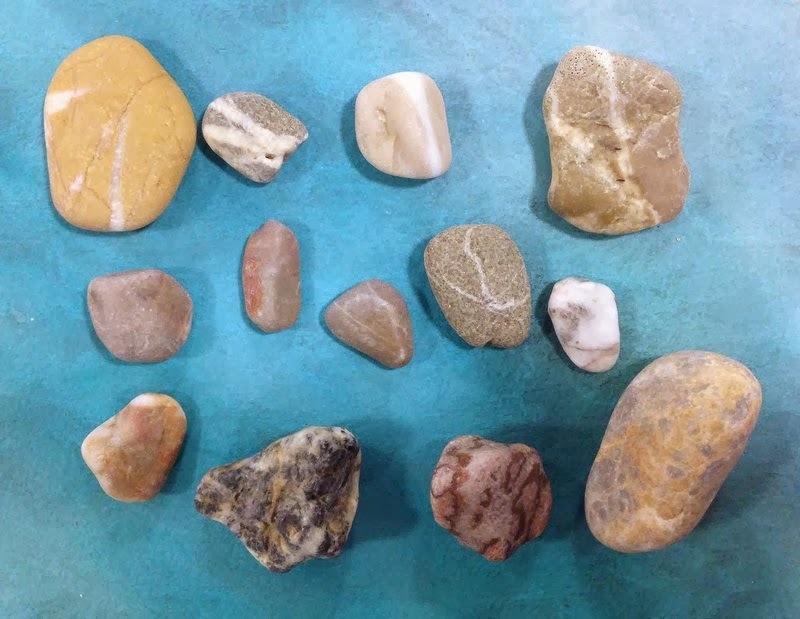 I also found them a couple of useful blog posts - this one by Mai-Britt Axelsen on how she designed her container, which is the other part of the weekend. 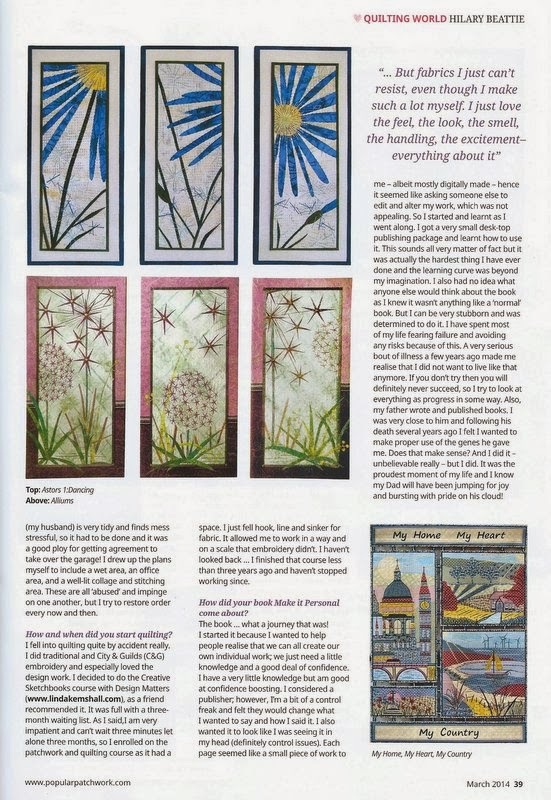 Secondly, I loved how Sandra Wyman developed her sea quilt from the workshop she took with Jo Budd. You can see it here. It is really useful to see how you can be 'inspired by' rather than having to slavishly copy what you see. 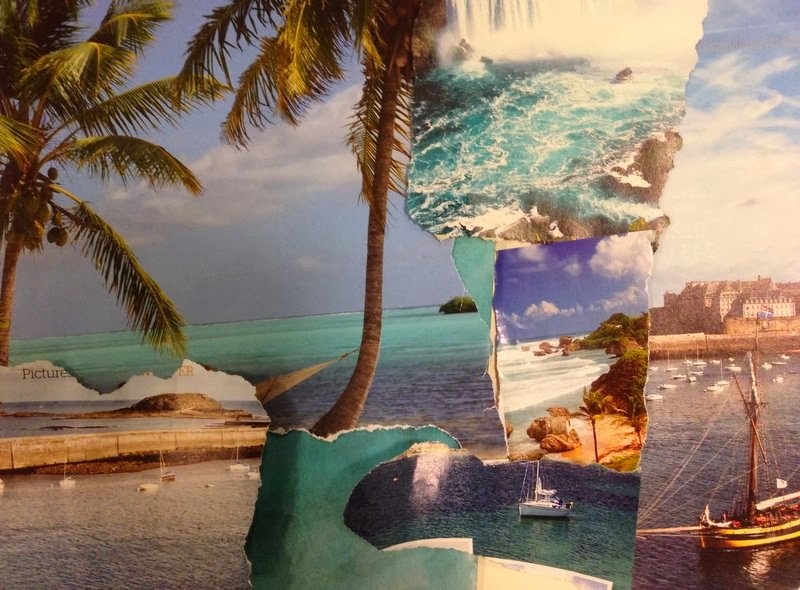 Do you find the sea inspiring? 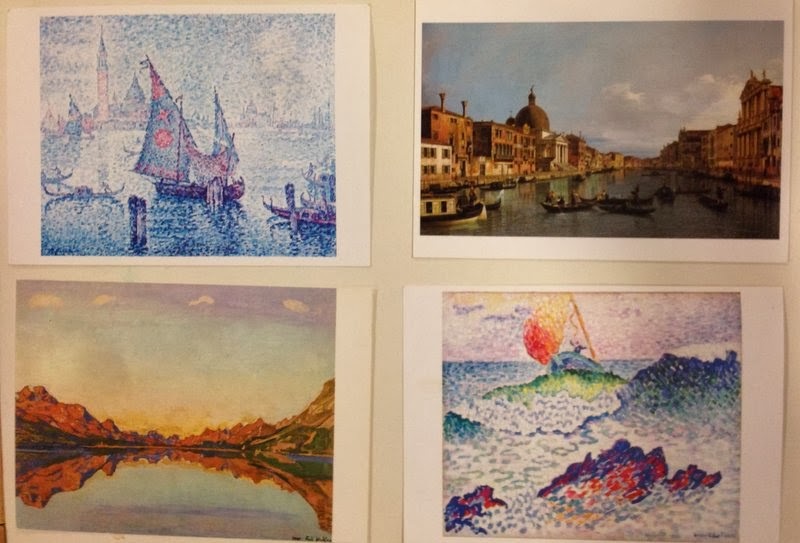 Have you made any sea inspired work that I can recommend to the students? This post was meant to be about my work in progress last Wednesday, but I have had a horrible week of migraines, so I don’t have any work in progress to share with you! Here’s hoping this week is more productive. 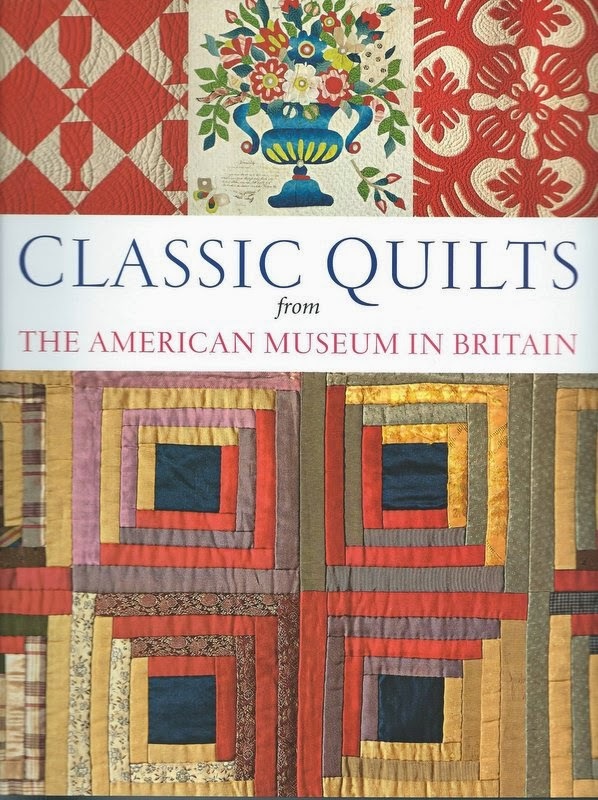 Instead of my work, here is a book that makes up part of my vast collection, ‘Classic Quilts from The American Museum in Britain’. If you have never visited the American Museum near Bath, it should definitely be on your ‘go-to’ list. It has a beautiful, peaceful setting looking out over a valley of green fields, lots of folk art and American history. Last time I was there, which was admittedly 1996(! ), there was a Civil War re-enactment, which echoed loudly across the valley and a special exhibition of Candace Bahouth’s work. There seems to a different special exhibition each year and I have fancied visiting many of them, but since moving north of the border again, Bath isn’t really the most practical place to go. So this book brings back many happy memories of visits to Bath pre-children. But there is more to it than that. 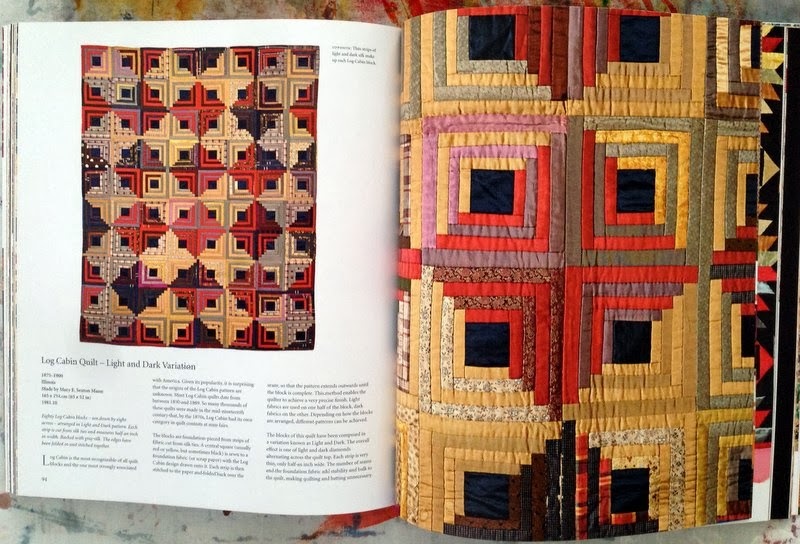 Written by two of the curators of the museum, Laura Beresford and Katherine Hebert, it gives a short, but fascinating, history of the museum and of its amazing quilt collection. 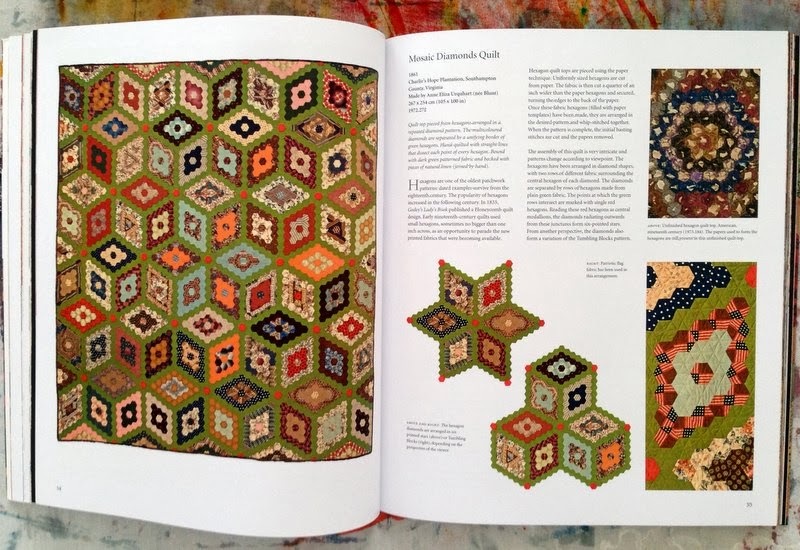 The rest of the book is devoted to individual quilts, each with a full page, full photograph, accompanied by some beautiful detailed shots and a short history of the quilt and the block/technique used. It covers many of the best known American styles, such as Log Cabin, Baltimore, Amish, Hawaiian, Double Wedding Ring, etc. I liked this hexagon quilt, especially how it points out how the pattern can be seen in more than one way –which way did you see first? This Trip Around the World Quilt was also amazing. It is on-point, each square is one inch square and is individually quilted. Wow! Its maker is unknown, but it was presented to Eleanor Roosevelt, the wife of the 32nd President, who created a role for herself in promoting traditional skills as a way through the Depression. It was also used by the Roosevelt family, which I think is nice, rather than just sitting in a cupboard or being in a museum all its life. 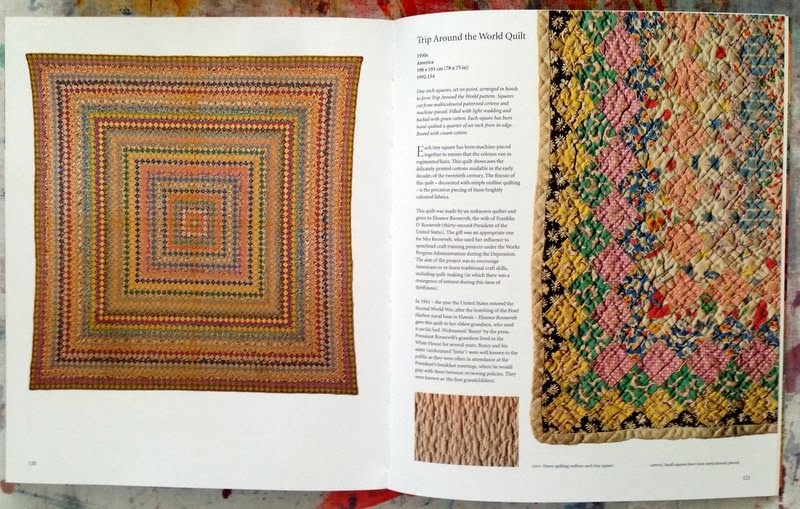 The book is relatively speaking rather old now, published in 2009 and I purchased it from PostScript Books, which can sometimes have amazing textile books and museum catalogues on offer – well worth checking out now and then. And now, whilst I am migraine free, I’m going to get on with some stitching.